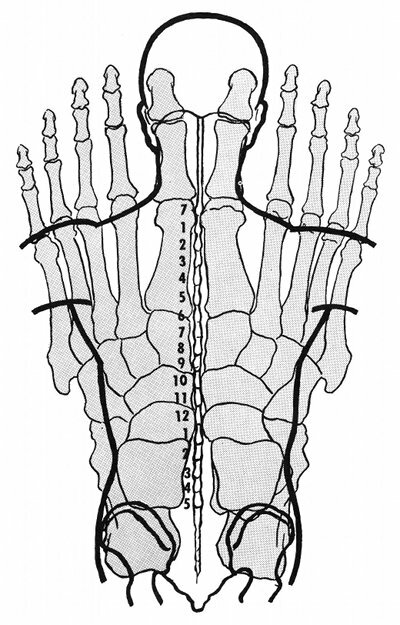 The tops of the feet have a powerful influence on the back, through the exact regions of correspondences shown here. 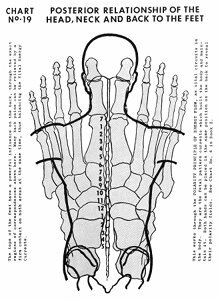 Many back pains can be relieved by a firm contact on both areas at the same time, thus balancing the vital energy currents. This works through the polarity principle of energy flow, as vital circuits in the body. They are the fetal pattern currents which built the body and maintain it. 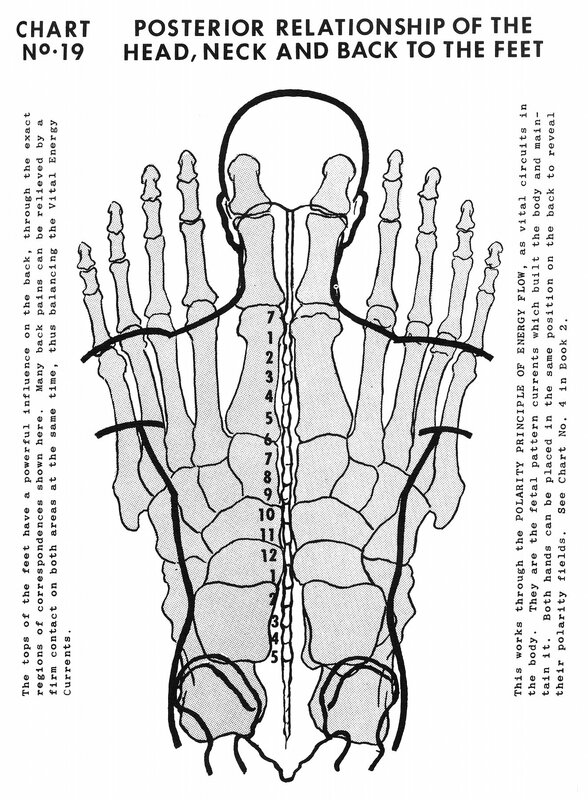 Both hands can be placed in the same position on the back to reveal their polarity fields. See Chart No. 4 in Book 2. Book 5, "Explanation of Chart No. 19"